When a 2013 study by Harvard University/UC Berkeley uncovered that Charlotte/Mecklenburg ranked 50th out of 50 in economic mobility among the largest U.S. cities, our community did not take this lightly. The study was clear: children born in poverty in the Southeast have very little chance of climbing out of it during their lifetime. Our community responded by forming The Opportunity Task Force to take a deeper look into the lack of economic mobility in our region. The results of The Task Force Report identified a set of recommendations across three primary areas that are linked to mobility and urged our community to take bold action to bridge this opportunity gap. The Task Force’s highest aspiration was that our community leaders—governmental, philanthropic, business, faith, nonprofit, neighborhood and grassroots—as well as the community at large, come together in the months and years ahead to reorganize our systems and structures, change policies and practices and otherwise boldly embrace and rally around a vision as a community that cares about all our children and youth—regardless of income, race or zip code. 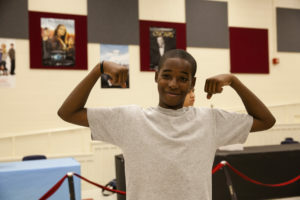 The Task Force urged our community to create an environment where all our children feel they belong, have big dreams, and find the opportunities to achieve those dreams. 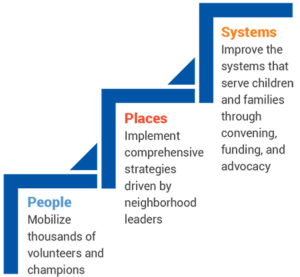 This significant change takes a willingness to do things differently – which is why United Way is changing how we serve this community with a new strategy that focuses on building stronger neighborhoods, improving systems that serve children and families, and providing basic needs support across our region. As a trusted community partner for 85 years, United Way is uniquely positioned to bring together the people, resources and services to give children born in poverty in our region the chance for a better life. Through our new impact strategy, we are rallying volunteers and community champions to go to the places that need support in order to improve the systems that services individuals, children and families. Working with two key neighborhoods and their community leaders, United Way of Central Carolinas is honored to bring United Neighborhoods to our region. The work of United Neighborhoods is driven by collaboration and a commitment of long-term resources and to execute the neighborhood’s vision for revitalization. 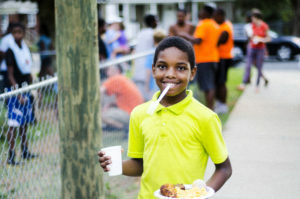 Beginning with Grier Heights and Renaissance, United Way will work alongside residents, community leaders and partner organizations in each selected neighborhood to drive transformation and revitalization efforts. This highly coordinated approach will address critical community-based challenges in economic mobility. Our United Neighborhoods strategy works to change the odds for individuals and families living in our community’s most under-resourced neighborhoods. From helping families become financially stable and find affordable housing, to preparing children to enter school ready to learn and read, the needs of these communities are many and varied. The long-term goal of United Neighborhoods is to improve economic mobility by addressing issues related to education, health, financial stability and basic needs in each community. Each community quarterback will work with United Way to select specific goals and outcomes, depending on their neighborhood vision and plan. United Neighborhoods is one of many ways United Way is aligning with The Opportunity Task Force Report and collaborating with community leaders and agency partners to address community-specific challenges and tackle the issues that matter most to the people in neighborhoods across our region. The first two neighborhoods were selected based on key criteria. Each United Neighborhood must be located in our five county footprint and face challenges, such as low resident income, education and unemployment rates, high crime rates or a lack of safe, affordable housing options. 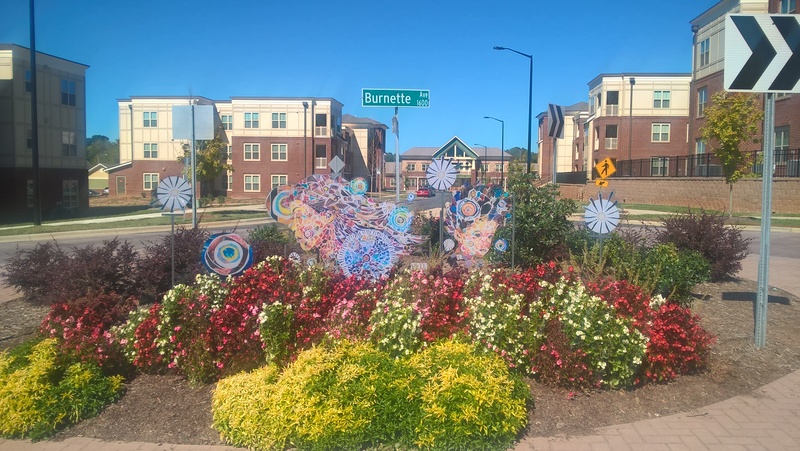 The neighborhood must also be engaged in active revitalization efforts lead by an existing Community Quarterback agency and driven by resident engagement. It is equally as important that the neighborhood have existing relationships with community partners like nonprofits agencies, schools, businesses, etc. Lasting change cannot be achieved by focusing on one problem. Time after time we search for one solution that will provide answers to thousands of questions, diverse challenges and even create economic mobility. But the answer doesn’t come in a one-fits-all package. It comes from collaboration and the commitment to Live United. 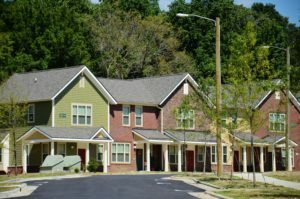 United Way is opening Building Block Grants to neighborhoods throughout our five-county footprint that have a need, have some if not all of the infrastructure requirements in place and want to partner with United Neighborhoods. 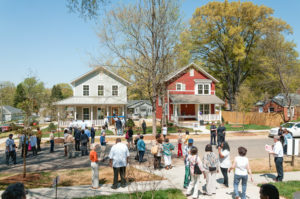 Block Building Grants provide assistance to a neighborhood to meet the requirements to implement the United Neighborhoods model and help neighborhoods to implement smaller-scale community revitalization projects.